There is no better way to take a leisurely trip than by train if you aren’t in a hurry to reach your destination. There is so much natural beauty across the United States just waiting to be discovered, and traveling by train is the best way to take it all in. 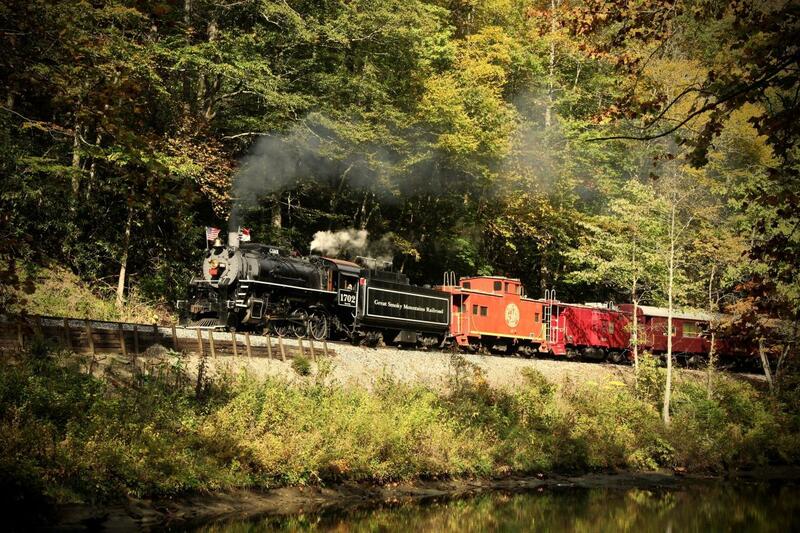 Here are just some of the most scenic train routes in the U.S.
Cass Scenic Railroad, Cass Depot, Cass, WV: This eight-mile trip starts at just $41 per person (for adults) and is perfect for those who love to sit back, relax, and enjoy spectacular scenery. This trip offers you a chance to ride in the locomotives used many years ago when logging was a major industry here. The best time for amazing fall foliage is in October. Cape Cod Central Railroad, Hyannis/Buzzards Bay, MA: With this scenic ride, you can choose between a sightseeing tour, or if you prefer, the dinner train ride makes a perfect night out. This 27-mile trip takes you from Hyannis Port to Buzzards Bay in Massachusetts. Look for Mother’s Day, Father’s Day, Easter, and other special occasion brunches served aboard the train. What a fun way to enjoy a holiday with your family! Grand Canyon Railway, Northern Arizona: The Grand Canyon should be on everyone’s bucket list, and one of the best ways to see it is by train. It’s the perfect way to avoid the traffic and the hordes of tourists. 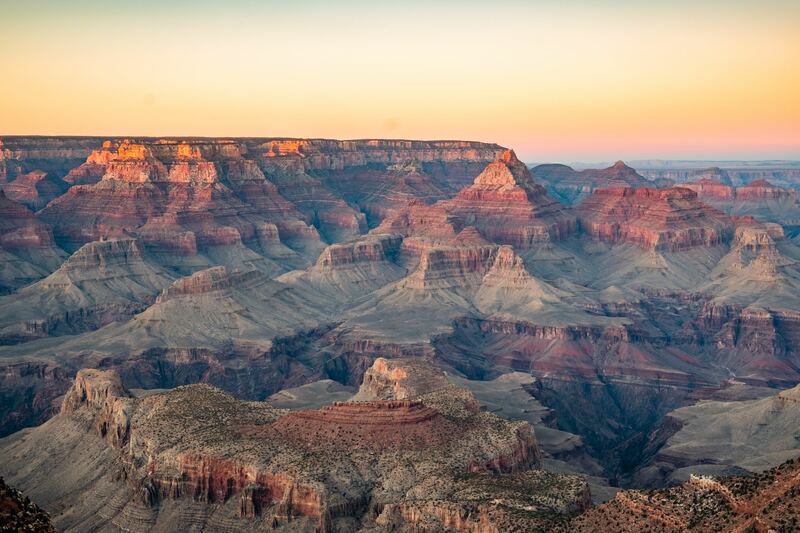 Starting in Northern Arizona, the 130-mile train trip through a beautiful stretch of ponderosa pine forest ends at the glorious Grand Canyon. I speak from experience when I tell you it is breathtaking and a must-see! California Zephyr, several states: From Chicago to California, this amazing train ride will take you through several states and amazing scenery. After sightseeing in Chicago, you’ll head west through the Great Plains, to the craggy peaks of the Rocky Mountains, and then to the open desert landscapes of Utah and Nevada. Your journey ends in San Francisco with a little sightseeing in the city by the bay. This trip is over 3,000 miles and seven days, with so much packed into that short time! 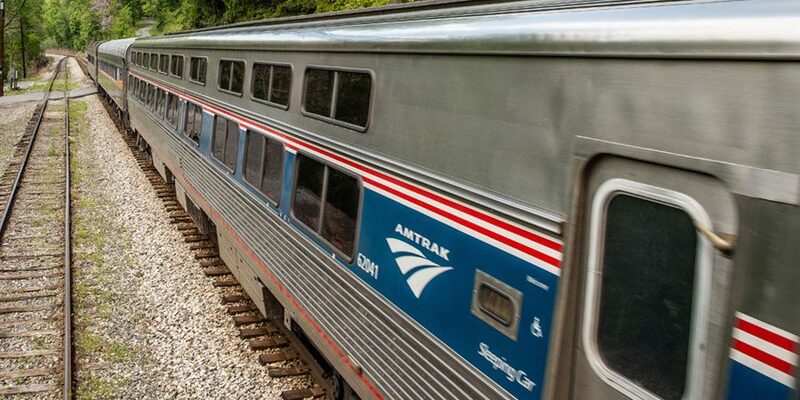 There are several stops during the trip, and you’ll enjoy the use of a dining car, sleeper cars, and a lot of open spaces to roam and stretch your legs. Great Smoky Mountain Railways: Based in North Carolina, you can take a 45-mile scenic railway tour through the Smoky Mountains and along the Tennessee and Nantahala Rivers. Choose your accommodations on this trip–options include first class, family first class, and open air to name a few. This is definitely a budget friendly excursion. Amtrak’s Coast Starlight: This gorgeous route, the Grand West Coast Train Adventure, is talked about as one of the best for scenery in the entire Amtrak system. It takes you along the Pacific Coast and the cliffs are stunning as you look over the Cascade mountains. There are stops along the West Coast in Santa Barbara, Los Angeles, San Francisco and several more all the way to Portland, Oregon. This trip gives you a chance to experience some of the most stunning views of the oceans, moutains, forest, and valleys our country has to offer. Click to learn more about the Grand West Coast Train Adventure. Train travel is a great way to see the the country, so why not make plans to get out there and explore? 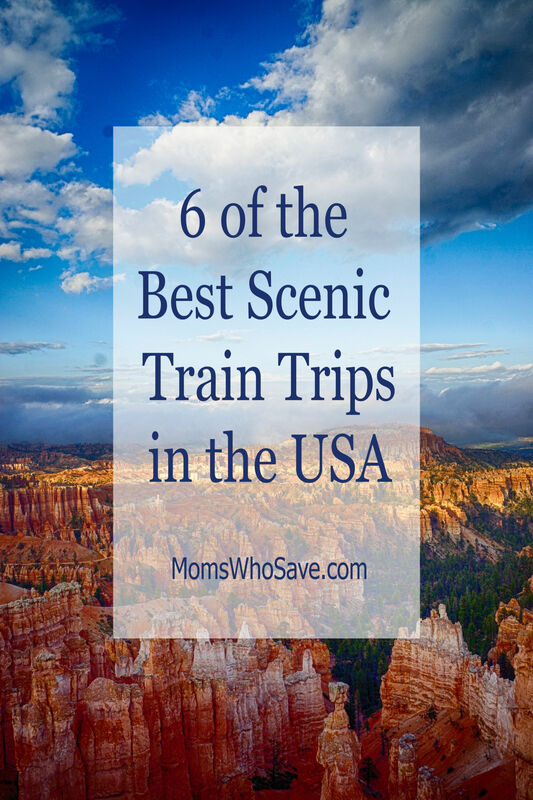 Have you taken any scenic trips by train? Let me know!